SiriOm Singh is a KRI certified Kundalini Yoga teacher. He has been teaching yoga since 1999 in the USA and internationally. 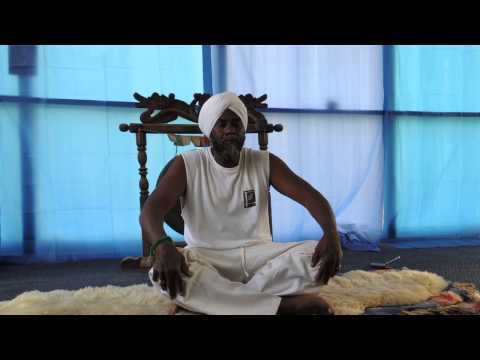 SiriOm Singh teaches Kundalini Yoga, as taught by Yogi Bhajan. Kundalini Yoga, also called the Yoga of Awareness, uses posture, breath, sound and meditation to enhance the flow of energy, develop and balance the mind, increase strength, flexibility and vitality, to achieve healthy body and peaceful mind. SiriOm also teaches workshops which draw on his experience as a percussionist and devotional musician . These workshops combine yogic principles with the use of the body as a musical instrument to create powerful spiritual experiences of meaningful communication, self discovery and joy. SiriOm brings to his yoga classes and unique workshops his talents as a teacher, therapist, musician and visual artist , to help students connect with, experience and express their full potential.